If you’re a football coach, an aspiring one or merely retain an interest in coaching there has never been as good a time as this. Extensive television coverage of the game means that you can study, and be inspired, by what is happening all over the world. 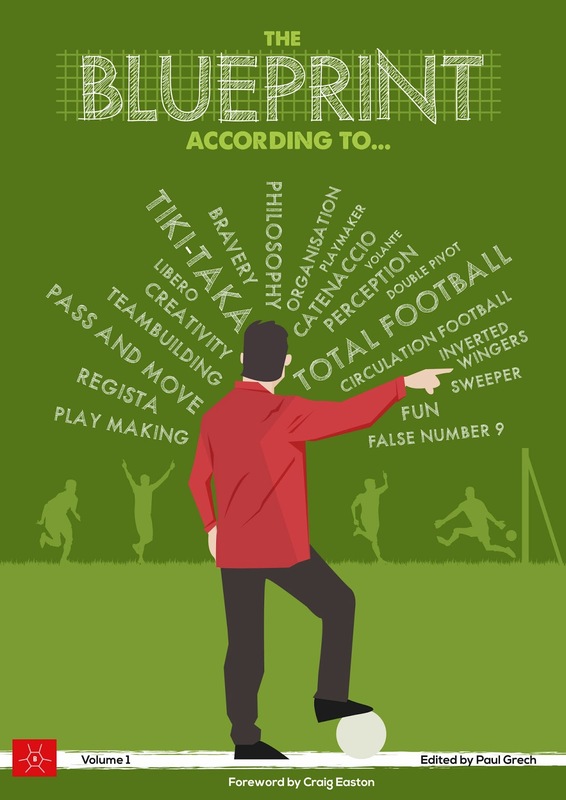 There are innumerable blogs and sites that talk about the various aspects of coaching. On social media you will find people sharing the methods used by the finest teams in the world. 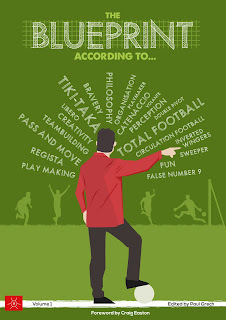 And it is easier than ever to find books that detail every aspect of coaching. For all the information that is out there, however, there’s nothing like a chat with another coach to really appreciate what he’s doing and what can be done differently. There is nothing like hearing someone else’s experiences to compare with your own; analysing what you can learn off them. It was that belief that inspired me to start the “Blueprint According To…” series of interviews where each month I spoke to coaches about their beginnings, experiences and how their ideas had been shaped, thus getting to the blueprint that was at the basis of their work. The ultimate aim was to display as many different ideas as possible. The first six interviews of the series achieved that more than I expected. They put forward the ideas of coaches from five countries; people who have worked at different levels and have accumulated varying experiences. They spoke, among others, of the benefit of futsal, how to get the respect of players and the importance of having a philosophy that forms how you work. 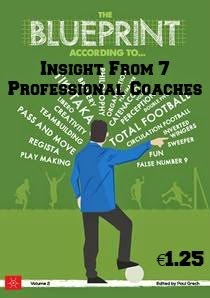 Now these first six interviews of the series have been brought together in an e-book that also contains original cover artwork by the extremely talented Dave Williams and a special foreword by former Scotland U21 midfielder Craig Easton, these days a budding coach himself. 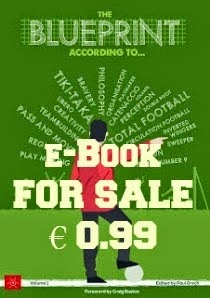 This e-book is available as PDF, e-Pub and Mobi here for just €0.99. Alternatively, you can get it from Amazon (UK version here).